These packable shelves are the most innovative travel product to be developed in years. 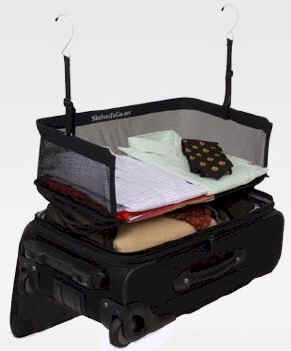 It makes packing and unpacking in hotels as easy as can be, eliminates the need to put your things in questionable hotel drawers, and minimizes the chances of leaving things behind. Just arrange your clothes on hanging Shelves To GO! and drop them into your suitcase. When you arrive at your hotel, hang them in the closet; when you're ready to leave, drop them into your suitcase again and you're ready to go. 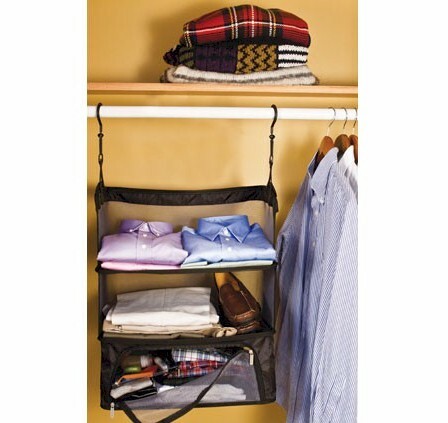 Hang the shelves in your home closet or over a door and fill them with the clothes for your trip. 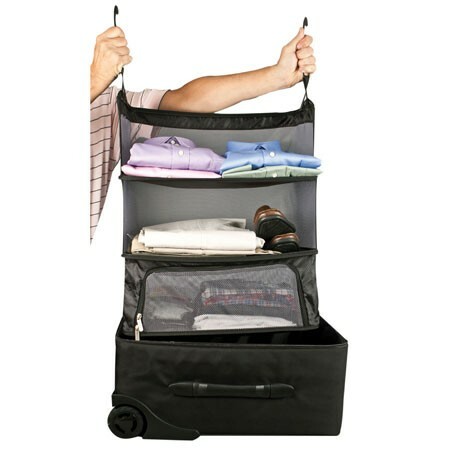 Drop the shelves, clothes and all, neatly into your luggage. 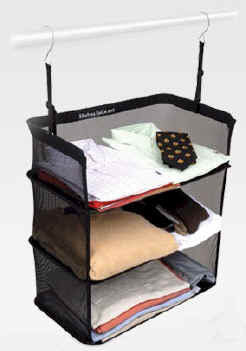 When you get to your destination, simply lift the shelves out of your bag, clothes and all, and hang them in the closet. Shelves to GO! consists of three lightweight, but rugged shelves, surrounded on three sides by a lightweight mesh, and suspended on either side by a strap with hooks to go over a closet rod or closet door. 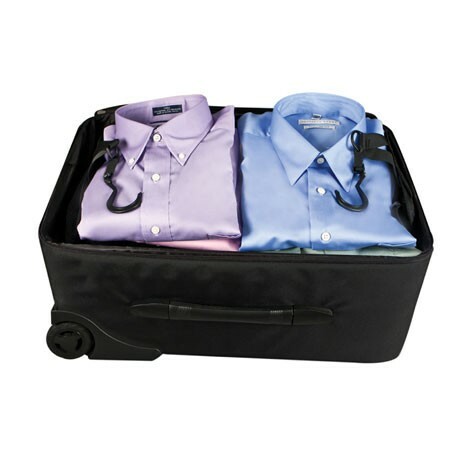 The sturdy lightweight steel maintains the shelves’ shape and protects your clothes in and out of the suitcase. 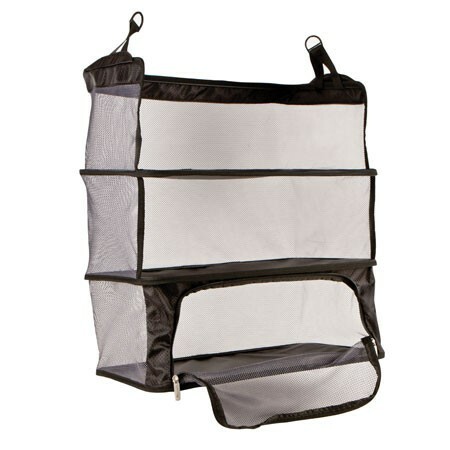 It's made of open polyester mesh side panels for ventilation and waterproof shelves that can be quickly wiped down. It easily fits into your carry-on suitcase. 18 x 21" - 1.5 lbs.